The May edition of InDesign Magazine may bring with it memories of your 6th grade English class – without the homework. 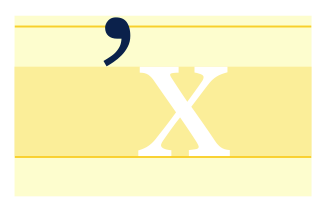 The article takes you through a bit of a punctuation brush up – with refreshers on each symbol you may or may not have known even existed on your keyboard, as well as walks you through several common mistakes made in punctuation. “Desktop Typography” or the use of straight quotes. Really just deemed as unprofessional as opposed to an actual mistake – a lot of text editors on your computer will automatically correct these straight quotes during your text entry anymore, too. To read the full article, ‘The Sweet Sound of Punctuation,’ click here. This entry was posted on June 21, 2011, 12:10 pm and is filed under Uncategorized. You can follow any responses to this entry through RSS 2.0. You can leave a response, or trackback from your own site.